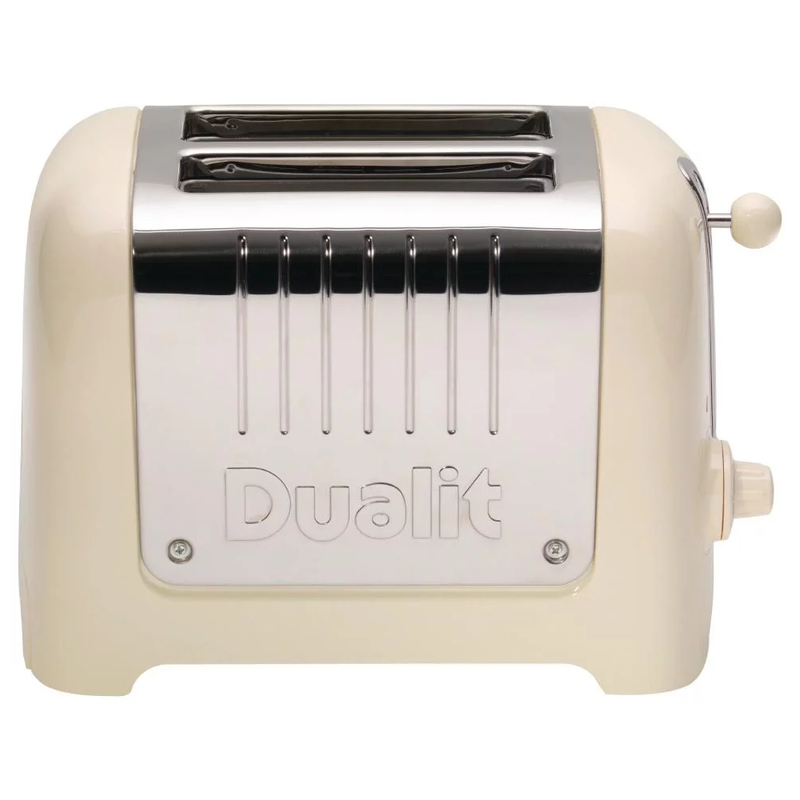 ""The 2 slot Lite toaster combines Dualit's classic toaster styling with a contemporary and practical gloss finish that stays cool to the touch. 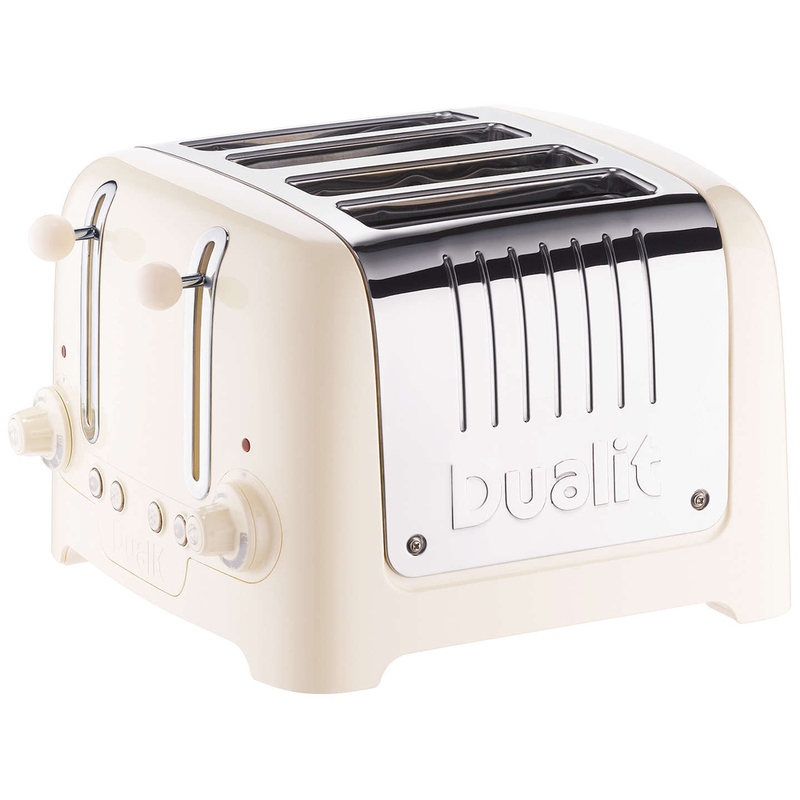 Patented Perfect Toast Technology ensures the Lite Toaster produces consistently golden brown toast. The Peek & Pop ® function allows you to check the bread while toasting without cancelling the toasting cycle giving greater browning control. It incorporates a bagel and defrost function, extra-wide 36mm slots and automatic pop-up. ""